Your superannuation trust deed along with the superannuation laws form the governing rules that self managed super funds (SMSFs) needs to operate by. The introduction of the $1.6 million transfer balance cap (TBC) and new transition to retirement income stream (TRIS) rules are a ‘game changer’ for SMSFs when discussing benefit payments and estate planning. With the new super rules in effect as of 1 July 2017, now is the right time to review if your trust deed needs to be enhanced or amended to deal with the new approaches and strategies you may need to implement. The first step in reviewing your superannuation trust deed will be to read it. Trust deeds are legal documents which can be complex to read, so you may want help from an advisor with this. It is likely that most deeds will not result in a breach of any superannuation laws and would provide the trustee with powers to comply with relevant tax and superannuation laws as they change over time. The next step would be to review the deed in consideration with your own circumstances. For example, a common scenario may be a restrictive deed that only provides the trustee with a discretion to pay death benefits. Therefore, if a member of that SMSF wanted to create a binding death benefit nomination, it would be irrelevant due to the deed’s governing rules. In any event, deeds which are clearly out of date will need to be amended as soon as possible. Does it allow for binding death benefit nominations (BDBN)? Do BDBNs lapse every 3 years in accordance with the trust deed when the legislation does not prescribe it? Does it consider the appropriate solution when there is a conflict between a reversionary pension and a BDBN and which will take precedence? Does it allow for a reversionary pension to be added to an existing pension or are there restrictions? Should it automatically ensure that a pension is reversionary so that it is paid to a surviving spouse? Ensuring that commutations are able to be moved into accumulation phase rather than being forced as lump sums out of superannuation. Are there any specific provisions relating to the TBC? There may be value in ensuring that the deed restricts pensions from being commenced with a value greater than the TBC. Are there provisions which detail where commutations must be sourced from first? Are there restrictive pension provisions that the trustees must comply with? Does the deed allow for the 10% maximum benefit payment to fall away once a nil condition of release is met? 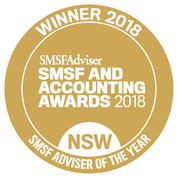 SMSF Specialist Advisors can help you understand how the new laws may impact you and partner with a lawyer/Deed provider to review and amend your trust deed as required. Please feel free to give me a call to arrange a time to meet so that we can discuss your particular requirements, especially in regards to issues that may arise out of the latest super laws, in more detail. For further educational information please subscribe to this blog and also visit the SMSF Association’s Trustee Knowledge Centre (http://trustees.smsfassociation.com/) to keep on top of the latest changes and information to reach your retirement goals and get the most out of your self managed super fund. The gifting and deprivation rules prevent you from giving away assets or income over a certain level in order to increase age pension and allowance entitlements. For Centrelink and Department of Veteran’s Affairs (DVA) purposes, gifts made in excess of certain amounts are treated as an asset and subject to the deeming provisions for a period of 5 years from disposal. Acknowledgement: I have relied on the excellent guidance of the AMP TAPin team for the majority of the content in this article. They write great technical articles for advisors and I try and make them SMSF trustee friendly. What is considered a gift for Centrelink purposes? For deprivation provisions to apply, it must be shown that a person has destroyed or diminished the value of an asset, income or a source of income. − do not receive adequate financial consideration in exchange for the asset or income. Adequate financial consideration can be accepted when the amount received reasonably equates to the market value of the asset. It may be necessary to obtain an independent market valuation to support your estimated value or transferred value or Centrelink may use their own resources to do so..
− buy a new principal home in another person’s name. What are the gifting limits? The gifting rules do not prevent a person from making a gift to another person. Rather, they cap the amount by which a gift will reduce a person’s assessable income and assets, thereby increasing social security entitlements. There are two gifting limits. An additional disposal limit of $30 000 over a five financial years rolling period. The $10,000 and $30,000 limits apply together. That is, although people can continue to gift assets of up to $10 000 per financial year without penalty, they need to take care not to exceed the gifting free limit of $30 000 in a rolling five-year period. What happens if the gifting limits are exceeded? If the gifting limits are breached, the amount in excess of the gifting limit is considered to be a deprived asset of the person and/or their spouse. The deprived amount is then assessed as an asset for 5 anniversary years from the date of gift. It is assessed as an asset for asset test purposes and subject to deeming under the income test. After the expiration of the 5 year period, the deprived amount is neither considered to be a person’s asset nor deemed. With this gifting plan, Sally is not affected by either gifting rule. This is because she has kept under the $10,000 in a single year rule and also within the $30,000 per rolling five-year period. In this case, $23,000 of the $33,000 given away in 2017/18 exceeds the gifting limit (the first limit of $10,000) for that financial year, so it will continue to be treated as an asset and subject to deeming for five years. In 2018/19, while gifts totalling $35,000 have been made, no deprived asset is assessed under the five-year rule after taking into account the deprived assets already assessed, ie $33,000 + $2,000 – $23,000 = $12,000, which is less than the relevant limit of $30,000. In this case, $3,000 of the $13,000 given away in 2018/19 exceeds the gifting limit for that year, so it will continue to be treated as an asset and subject to deeming for five years. The $10,000 given away in 2020/21 exceeds the $30,000 limit for the five-year period commencing on 1 July 2017, so it will also continue to be treated as an asset and subject to deeming for five years. Are some gifts exempt from the rules? − Assets transferred between the members of a couple. A common example is where a person who has reached Age Pension age withdraws money from their superannuation and contributes it to a superannuation account in the name of the spouse who has not yet reached age pension age. − Certain gifts made by a family member or a certain close relative to a Special Disability Trust. For more information on Special Disability Trusts, refer to Department of Human Services – Special Disability Trusts. − Assets given or construction costs paid for a ‘granny flat’ interest. See Department of Human Services – Granny Flat Interest for further detail. Deprivation provisions do not apply when a person has disposed of an asset within the five years prior to accessing the Age Pension or other allowance but could not reasonably have expected to become qualified for payment. For example, a person qualifies for a social security entitlement after unexpected death of a partner or job loss. − After the estate has been finalised, gives away their interest in a deceased estate to a third-party for no/inadequate consideration. The above rules apply even if the deceased died without a will. In some circumstances, couples in receipt of a social security benefit may give away assets prior to death of one of them. Prior to death, any deprived assets would have been assessed against the pensioner couple for five years from the date of the disposal. Now that a member of the couple has passed away, how will the deprived assets be assessed for the surviving partner? The amount of deprivation that continues to be held against a surviving partner depends on who legally owned the assets prior to death. by the deceased partner, is reduced to zero. by the surviving partner, increases by the amount held against the deceased partner by the outstanding balance held against the deceased partner. Daryl (age 84) and Gail (age 78) gifted an apartment worth $260,000 to their son Ethan on 1 July 2019. At the time the gift was made, Centrelink assessed $250,000 as a deprived asset. Daryl passed away on 1 July 2020.
by the deceased partner, No amount will be assessed against the surviving partner. As the amount of the deprived asset is $250,000, the amount assessable to Gail is $0. by the surviving partner, The full amount will continue to be assessed against the surviving partner. As the amount of the deprived asset is $250,000, the amount assessable to Gail remains at $250,000. Want a Centrelink Review or are you just looking for an adviser that will keep you up to date and provide guidance and tips like in this blog? Then why not contact me at our Castle Hill or Windsor office in Northwest Sydney to arrange a one on one consultation. Just click the Schedule Now button up on the left to find the appointment options. Do it! make this the year to get organised or it will be 2028 before you know it. The changes to the superannuation system, announced by the Australian Government in the 2016–17 Budget, have now received royal assent and the finer details of how to implement them have been released. While the government claim these changes were designed to improve the sustainability, flexibility and integrity of Australia’s superannuation system, they did not work with industry or the ATO before announcing them and as such it has been a nightmare to try to get your head around what the actual changes are and how strategies need to be implemented to manage them. As a result we are getting last-minute guidance from the ATO and software providers as well as SMSF, Industry and Retail Super providers. The government have back-flipped on some measures, amended others because of collateral damage and tightened other measures for obscure reasons. With most of these changes commencing from 1 July 2017 I have tried to put some useful links together. A short video overview of the changes is provided below. 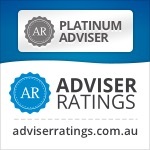 I have provided more detailed information links and will update these as they are progressively published to help you understand the changes, how they may affect you, and what you may need to know and do now, or in the future as a trustee of a self-managed super fund (SMSF). Even more detailed information is available to help you understand the changes, including for some topics, law companion guidelines (see below) to provide certainty about how the changes will be administered. For those who wish to dive in to the detail please view the Law Companion Guides below. A law companion guideline is a type of public ruling. It gives the ATO view on how recently enacted law applies. It is usually developed at the same time as the drafting of the Bill. The ATO normally release a law companion guideline in draft form for comment when the Bill is introduced into Parliament. It is finalised after the Bill receives Royal Assent. It provides early certainty in the application of the new law. Please make sure to look for updates before relying on this information. Example: Q. How are my pensions and annuities valued for transfer balance cap purposes? ANSWER : You need to contact your fund about the value of your pensions and annuities. The value of your pension or annuity will generally be the value of your pension account for an account-based pension. Lifetime pension and annuities These are valued by multiplying the annual entitlement by a factor of 16.This provides a simple valuation rule based on general actuarial considerations. Your annual entitlement to a superannuation income stream is worked out by reference to the first payment entitlement for the year. The first payment is annualised based on the number of days in the period to which the payment refers. (I.e. the first payment divided by the number of days the payment relates to multiplied by 365). This means that a lifetime pension that pays $100,000 per annum will have a special value of $1.6 million which counts towards your transfer balance cap in the 2017-18 financial year. For a lifetime pension or annuity already being paid on 1 July 2017, the special value will be based on annualising the first payment in the 2017-18 financial year. This may include indexation, so may be slightly higher than your current annual lifetime pension payments. Life expectancy and market linked pensions and annuities being paid on or before 30 June 2017 are valued by multiplying the annual entitlement by the number of years remaining on the term of the product (rounded up to the nearest year). Do you know which asset sector performed best last year, the year before? Do you think those results will guide you for next year? Think again. I don’t think many SMSF Investors would have guessed Australian Listed Property would have been the strongest in 3 out of the last 6 years but in 2016 was a disappointing underperformer. Many burnt in the property sector in the GFC had avoided it like the plague and missed some of the upside. Franklin Templeton Austalia’s annual asset class ladder for 2016 is a great tool to visualise how each asset class/sector has performed over the last 20 years and pour water on ideas that we can reliably predict next years winners. What becomes glaringly obvious after scrutinising the table is that no single asset class consistently outperforms the others. Just in case you subscribe to the ‘last years greyhound is this years dog” or that cycles are predictable, the table shows no clues or discernible pattern into how the previous year’s winners or losers will perform in the following year as the pattern appears totally random. We coach clients to build a diversified strategy with some tactical allocations when sectors or assets appear oversold or opportunities arise like when the Aussie dollar was getting USD $1.10 a few years back and the opportunity came to overweight international stocks. I hope this information has been helpful and please take the time to comment. Feedback always appreciated. Please reblog, retweet, like on Facebook etc to make sure we get the news out there. As always please contact me if you want to look at your own options. We have offices in Castle Hill and Windsor but can meet clients anywhere in Sydney or via Skype.